Harry J. Sovel, age 90, of Parma, Ohio; beloved husband of Norma M. Sovel (nee Powell) for 65 years; loving father of Michael Sovel (Laurie), Michele Dooling (Charlie), Mark Sovel, and Melissa Gatka (Edward); dear grandfather of Joshua Gatka, Danielle Griffin (Tim), Kayle Richards (Chad), Adam Sovel, Virginia Sovel, Lillian Sovel, Ciarra Rought (Cody), Katelyn Dooling, and Julia Dooling, and great-grandfather of Jameson Richards, Rowan Griffin, and Reid Griffin; cherished brother of Edythe Woodyard (Everett, deceased), Janet Chichester (Carl), and the following deceased siblings: Clifford Sovel, Helen Butcher, Kenneth Sovel, Garth Sovel, and John Hetzer. Harry was a U.S. Army Air Corps veteran of WWII. 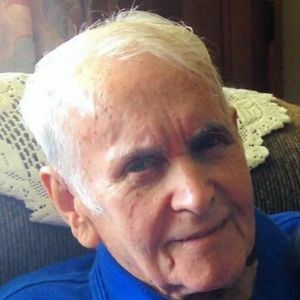 He passed away on Tuesday, April 9, 2019. Memorial contributions may be forwarded to the Hospice of the Western Reserve Ames Family Hospice, P.O. Box 72101, Cleveland, Ohio 44192, or visit www.hospicewr.org. The family will receive friends at the BUSCH FUNERAL HOME, 7501 Ridge Road, Parma, from 5:00 P.M. to 9:00 P.M. on Thursday, April 11, 2019. Funeral service at the funeral home on Friday, April 12, 2019 at 11:00 A.M. Interment with military honors will follow at 2:30 P.M. on Friday, April 12, 2019 at the Ohio Western Reserve National Cemetery in Seville, Ohio. Add your thoughts, prayers or a condolence to Harry's guestbook. Please enhance this tribute to Harry J. Sovel by adding your memories and photos.